Welcome to the Frictionless Finance Report, our bi-weekly look at everything that’s new in the world of Open Banking, FinTech and consumer experience. 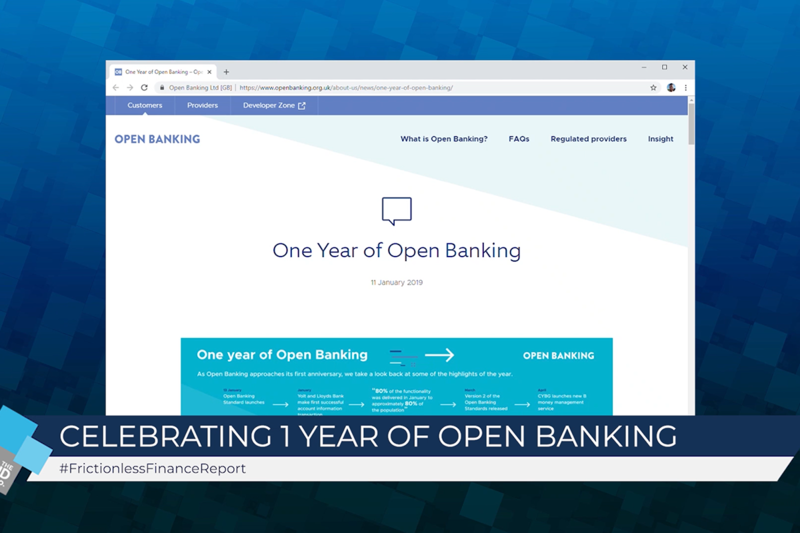 If you’d like to receive this in your inbox every other Wednesday, simply fill in the form at the bottom of the page.This week we cover the one-year anniversary since Open Banking was launched in the UK, the love-hate relationship between big banks, and FinTech’s and Europe’s most valuable FinTech. Sunday, 13th January marked one year since the Open Banking regulations were made live in the UK. Celebrating the anniversary, and to consider what the next year may hold in store, there has been a plethora of news articles. “Two years ago, Open Banking was regarded by many as a typical compliance exercise championed only by a handful of FinTechs – more tech spend driven by compliance rather than business case or customer need. This is no longer the case. Banks have very firmly moved from viewing Open Banking as a compliance exercise to an opportunity to compete and innovate. Nearly all of news articles focus on the slow start made by Open Banking but give reasons to be positive for 2019, with Technative even making use of the Winston Churchill quote, “this is not the beginning of the end, but it may be the end of the beginning....” Their focus is on what will happen in 2019, looking at security and payments amongst other factors. Finextra have spoken to some of the major banks to gauge their take on the progress made by Open Banking. Danske Bank, HSBC, Barclays and Nationwide have all been encouraged by the start made, and while recognising many in the UK have not heard of Open Banking, consumers are already using Open Banking initiatives or products. Information Age have followed the consensus by writing that while there has been a slow start for Open Banking, if consumer and privacy concerns can be won over, then the future is bright. Finally, FSTech have been more cautious in their assessment, noting there has yet to be a “revolution” in banking as some proponents predicted. In the latest piece of research on the state of Open Banking, Pepper, the digital only bank created by Israeli bank, Leumi, has shown 66% of respondents believe that one of the Silicon Valley tech giants will enter the banking scene. Just over a third also think the high-street banks will be split into specific services such as payments, loans or money transfers. “The two main challenges for banks today are utilizing the huge amount of data they have gained for the benefit of customers; and collaborating with fintechs and third parties - which are made possible in light of Open Banking – in order to offer the best value proposition". 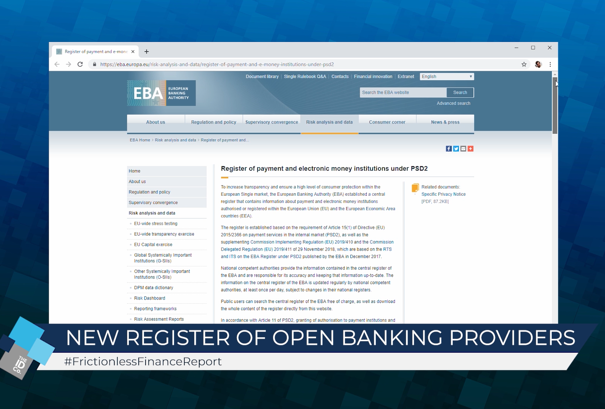 As we kick off 2019, Open Banking has featured heavily in articles from International Banker, the Finanser, pymnts.com, Verdict, Finextra and Forbes on banking trends to watch out for the year ahead. Welsh-based challenger bank, Chetwood Financial has been granted a full UK banking license. The bank is being backed by Elliott Advisers and follows a £40m cash injection. The firm believes it can make inroads against traditional players through its adherence to technology and goal of partnering with other companies to offer products. Chetwood recently launched its latest product LiveLend, which grants borrowers better rates as they improve their credit score. Full coverage can be found in Finextra, Banking Tech and Specialist Banking. The relationship between the major banks and FinTech’s continues to garner scrutiny, a trend that is unlikely to disappear now some of the major tech companies have market caps in the same range as banks. The possible emergence of a Google, Amazon or other into the banking scene will also continue to fuel the flames. In Bank Innovation and Bobsguide, the relationship between the two is examined. Bank Innovation focus their attention on the respective merits of both, with FinTech’s having advantages in developing and adopting new technologies, while banks have legacy and a massive customer-base. Ultimately, they argue, it could be that the work of FinTech’s are forcing banks to evolve, bringing in better products and services for their customers. Bobsguide have taken the approach of asking whether they should be working in competition or collaboration, before asking if working in tandem offers the best of both worlds. Similarly, the competition between the high-street banks and challenger banks has featured in Specialist Banking. The ability to offer a true and deep understanding of their customers, be in a position to offer personalised product offerings, and collaboration with tech partners will determine who comes out on top. RBS, on behalf of its digital offering Bo, has made an investment of £2m in FinTech, Loot. With £3m already invested last year, the investment takes Bo’s shareholding in the company to 25%. Loot has focused on helping students and young people manage their finances, boasting 175,000 sign-ups. Coverage can be found across a range of outlets, including City AM, Business Matters Magazine, Banking Tech, Specialist Banking and Altfi. Writing in a blog post on her company’s website, Starling Bank CEO, Anne Boden has announced plans to open an Irish subsidiary to counter fears laid-bare by Brexit. From there, Starling’s plan is to launch in France and Germany. The news has garnered coverage in the Irish Times, Verdict, and Finextra. And according to TechCrunch, rival Monzo could be preparing for a US launch. We’ve devoted many lines to the recent progress made by banks to restrict access to gambling sites. Now, more high-street banks have announced they are to follow suit. According to Money Saving Expert – whose Martin Lewis has been instrumental in persuading banks to do so – Bank of Scotland, Lloyds, Halifax and Santander will implement blocks. 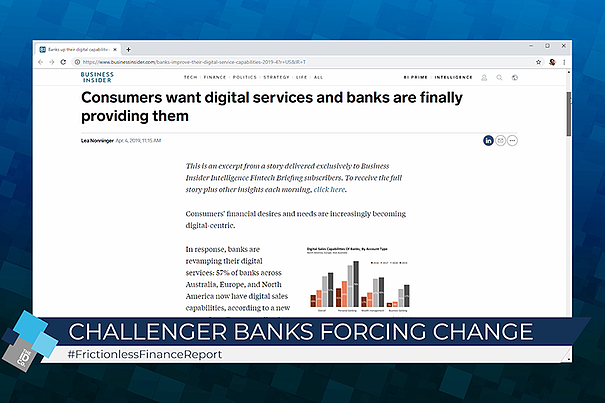 The rise of challenger, neobank, or digital only banks is surely a trend that is going to continue to gain news headlines through 2019. FT Adviser has reported almost a quarter of Brits are considering opening a digital only bank account. Of those who said they had no intentions of opening a new account, 61% said it was because their current bank treated them well. Apps are now more popular in the UK than internet banking. While the difference was almost negligible at 39.2% versus 38.6%, it marks the first time apps have surpassed internet banking in popularity. HSBC have introduced a robot, named Pepper, to work in their Fifth Avenue Store in New York. As well as posing for selfies, Pepper can also answer customer enquiries and flag promotions and products. In the United States the creation of the Financial Data Exchange has breathed new life into Open Banking. In their trends to watch out for in 2019 article, American Banker have pinpointed Open Banking as a key development, saying the Financial Data Exchange is key to giving banks more confidence in the security implications surrounding Open Banking. Congratulations to our friends at FinTech Scotland, who as well as celebrating their one year anniversary, have this week announced that the volume of FinTech’s trading in Scotland has more than trebled over the last year, to eighty. FinTech Scotland news can be found on the FinTech Scotland website, Finextra, the Scotsman, FSTech and Daily Business. N26 has become Europe’s most valuable FinTech. This comes as the company raised $300m in funding at a valuation of $2.7 billion. N26 is a German based digital bank, which offers current accounts and is famous for its translucent bank cards. The deal is the largest funding round since Revolut raised $250m last year. N26 have said they will use the capital to launch in the US, where it has not yet acquired a banking license. 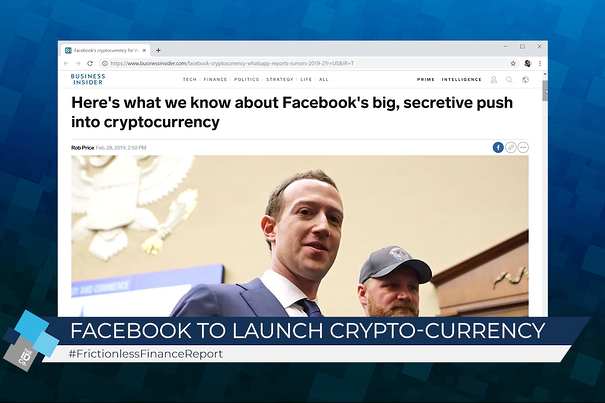 There is extensive coverage of the story, including in Finextra, The Telegraph, City AM, Banking Tech, TechCrunch, Cheddar, Venturebeat, pymnts.com and AltAssets. The Investment Association, the trade body for the UK’s fund management industry, has opened its doors to a new cohort of companies for its FinTech accelerator scheme. More than 70 FinTech’s have signed up in the last six months.